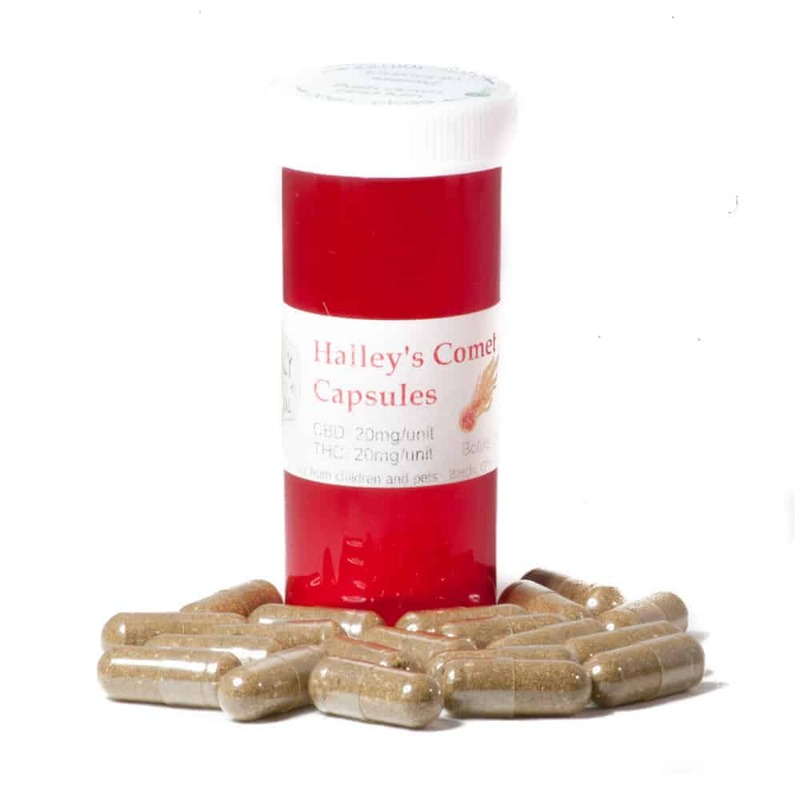 Halleys Comet Caps: Halley’s Comet is a patented cultivar with a 1:1 THC:CBD ratio that was found, tested and continues to be researched by Dr. Paul Hornby in Vancouver with the intention of making it available to all patients. 2 reviews for "Purely Medicinal Halleys Comet Caps"
Like Leroy, one in the morning is good! For myself, it replaces at least two doses of hydromorphone tabs through the afternoon. Nice, manageable baby buzz from the psychoactive ingredients.